Cute cat videos are really cute but were not sure we could’ve made a career out of them. The truth is that there are literally millions of cat videos out there but very few of them attract more than a handful of views. People definitely share content they think will make themselves look good – either by reflecting their great taste or by imparting helpful information to others. Some people do this so compulsively that they don’t even read articles they share before sharing them. But when Jonah Berger studied the sharing stats of 7,000 New York Times articles, these factors didn’t explain the popularity of the most widely shared. He realised that the most viral news hits tended to cover discoveries and breakthroughs – human achievements that evoked strong feelings of awe in the reader. Eliciting a strong emotional response can drive sharing. But not all emotions make people want to share. In fact, some actually suppress sharing. In addition to whether something feels good or bad, emotions can also be characterised in terms of arousal level (not that kind of arousal). Its all about how intensely we experience a response and the extent to which it takes hold of us. What the New York Times study revealed is that its emotional arousal levels that have the biggest impact on sharing. 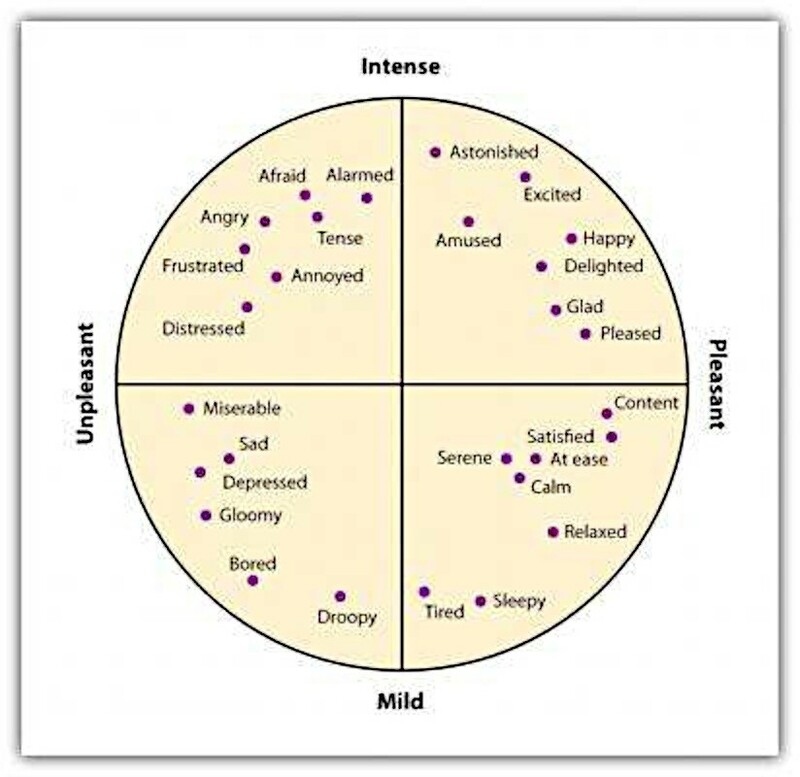 Looking at high arousal emotions in the diagram its clear why: they drive action. When alarmed we respond quickly to protect ourselves, when excited we can barely sit still. In fact, exercise makes people share as well, precisely because it too results in physiological arousal. In a separate study, participants who exercised before viewing content were 75% more likely to share it than a control group. Difficult to define and even more difficult to evoke, awe is a feeling of wonder inspired by beauty, feeling deeply connected or experiencing an acute sense of wonder at the extraordinary world we live in. Dove Real Beauty Sketches 67 million views, 125,596 shares, made by Ogilvy & Mather 5. Philosopher Harry Frankfurt noted the distinction between our first-order desires and second order desires. First-order desires are simply what we want – I want another biscuit– whilst second-order desires are how we feel about those wants –I want not to want another biscuit, because I need to be #beachbodyready. All sort of communications fail because they rely on facts and figures that appeal to our second-order desires, when our first-order desires are really in charge (I’ve already eaten that biscuit). Excitement is about as far from facts and figures as you can get. For most of us anyway. Its pure first-order desire. When you are truly excited you are completely free from your second order desires, they don’t even cross your mind. Done wrong, exciting content feels embarrassing and awkward. The most popular video on youtube ever, one of only two to hit the billion view mark is this. It’s a music video, for a track in Korean, with a pop star who wasn’t known in the west, pelvic-thrusting his way into our hearts. Gangnam Style subverts expectations and satirises modern pop music with wit and self-awareness. It’s silly and funny in a way our overly-serious, western music videos never are. Anger is probably the highest-arousal negative emotion, its extremely effective at driving sharing because it creates frustration and a desire to change something. When we contrived to make people angry we ended up creating our most viewed film ever. Traditionally two things have been important for TV advertisers – the size of the audience and its demographic make-up. But a third factor is beginning to gain recognition – the structure and content of the show itself. If high-arousal emotion drives action, adverts viewed at different stages of different programmes story arcs can have profoundly different receptions. People are very complex and our values systems vary. The issues we want to communicate can feel like a quagmire of challenging data and perceptions. But our emotions connect us and help us to convey the things we all care about deep down. The excellent book Made to Stick urges people to keep asking themselves why something is important before they attempt to communicate it. Write down your first answer then ask again why is this important to them? Each time you ask this question you drill a bit closer to the emotional core of your story and the key to pitching it right online. Or give Catsnake a call and we’ll get our thinking caps on.